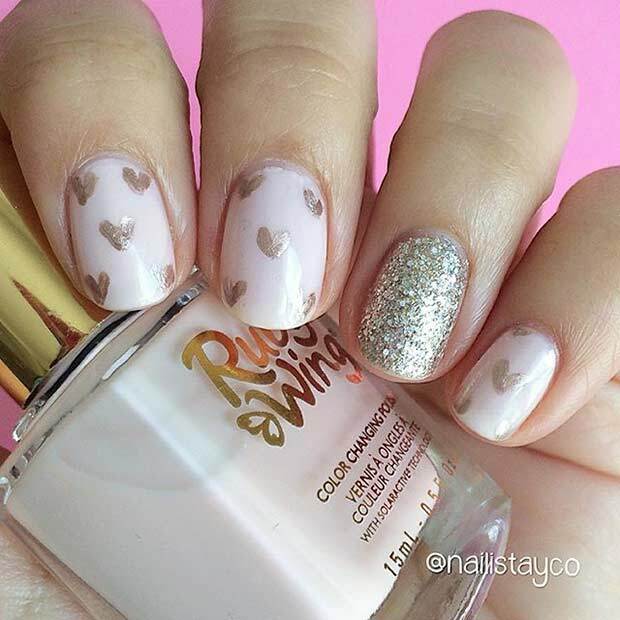 It’s time to come out of hibernation girls and make sure your nails are looking gorgeous, it’s nearly summer! 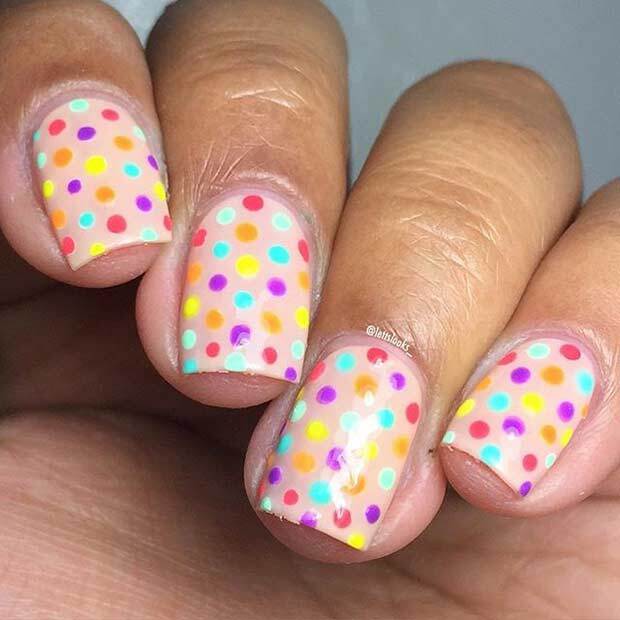 Brush the dust off your nail box and unleash the bright colours. 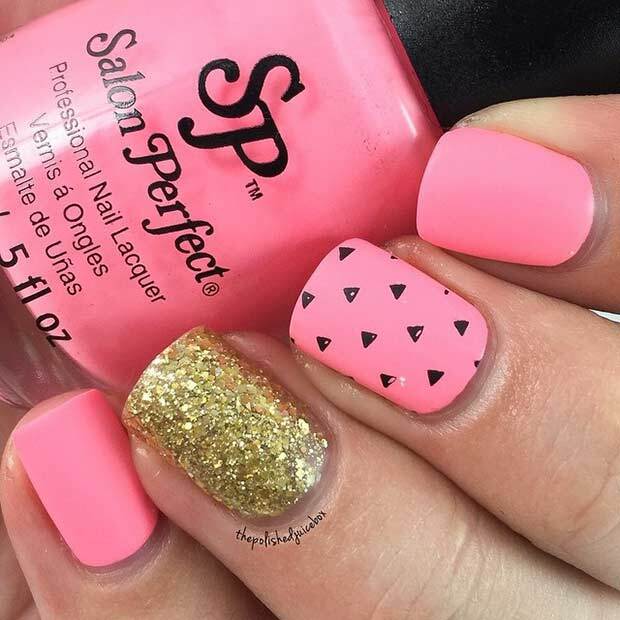 Everyone wants to look fabulous this summer, so be the first in line to kick off the summer vibe. If you don’t have the money to make an appointment at the beauty salon, do not worry. 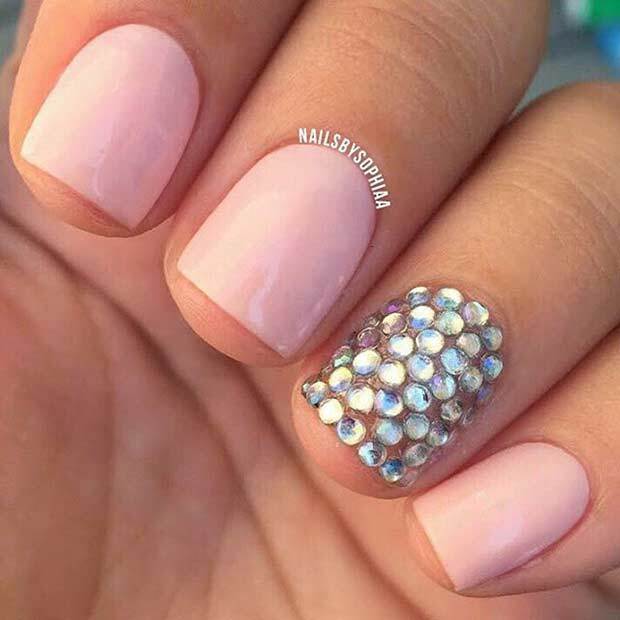 We have come up with 55 super easy nail designs for you to do yourself. It doesn’t take a rocket scientist to paint your own nails. Yes, it is difficult to paint either your left or right hand, depending which hand you write with, but you can always ask a friend to help or practice yourself and you’ll be able to do it yourself. We have a selection of designs to look through. 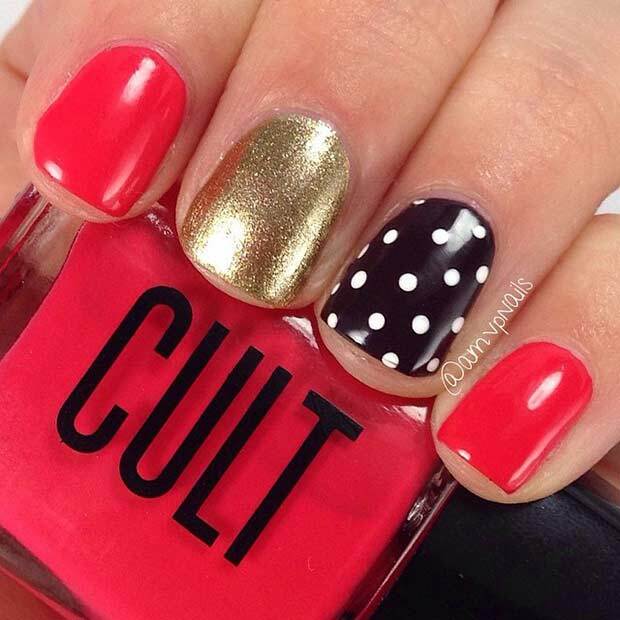 From accent nails, bright colours, to glitter heaven, there’s a design for everyone. 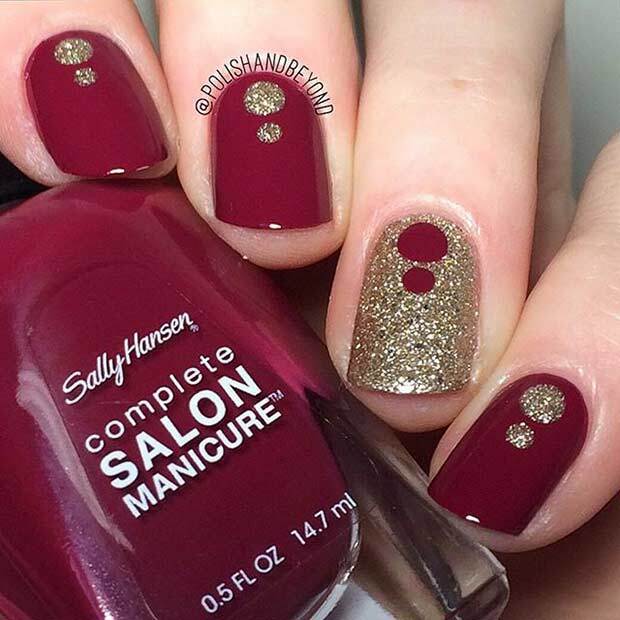 These designs look amazing and are simple and easy to do. 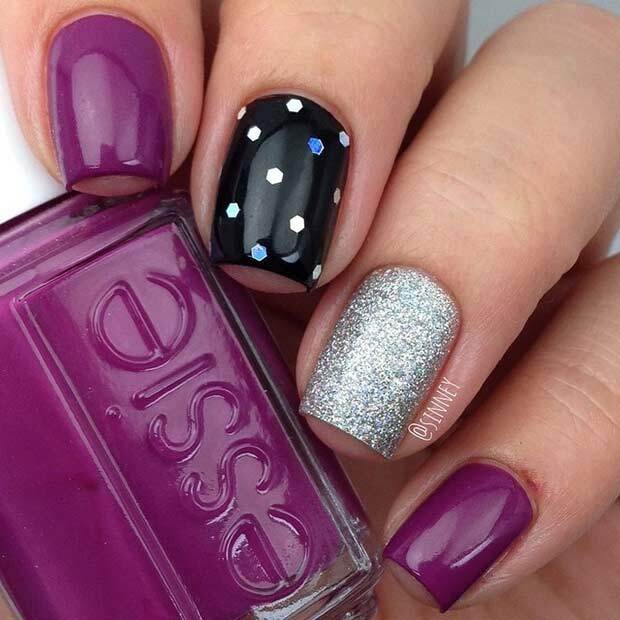 It’s always good to look and feel amazing so get your nail polish box out and start today. 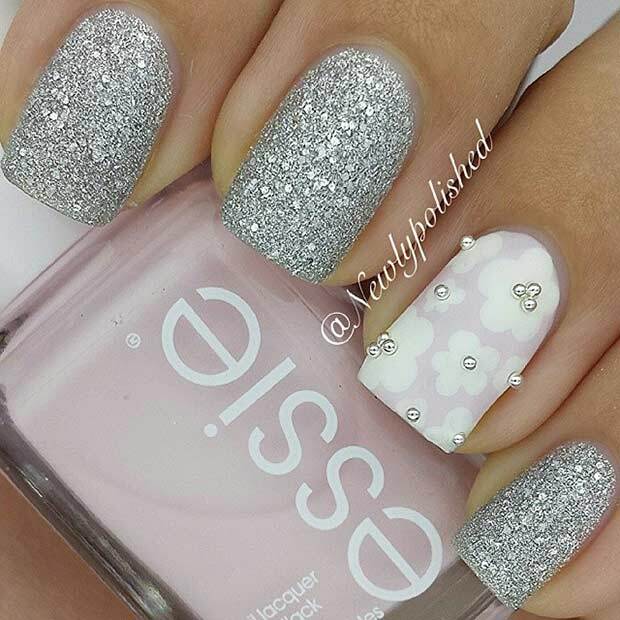 We are here with a fabulous collection of 55 uber easy nail designs. 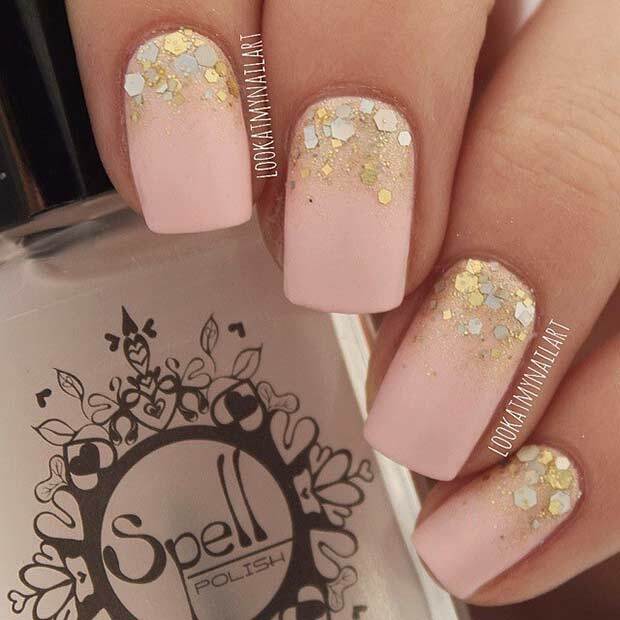 The best thing about painting your own nails at home, is that you can have the freedom to change your nail colour and design on a daily basis if you wish. Have fun looking. 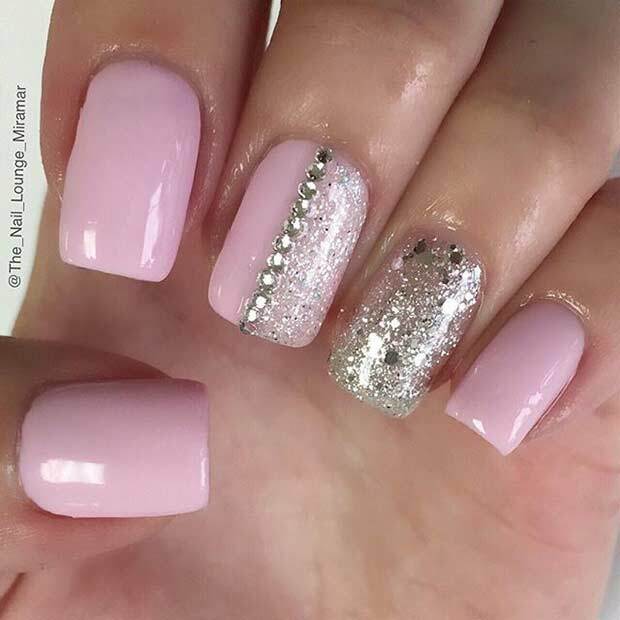 There are so many glitter nail polishes on the market but you need to ensure that the one you choose isn’t too thin. 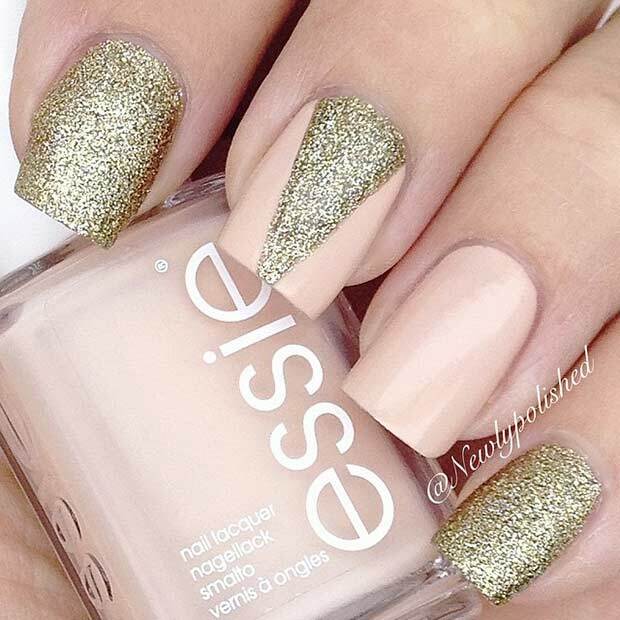 Many glitter nail polishes are too thin to have one or two coats and you’re done. Do you research online, read reviews or try the tester in the store before you buy. 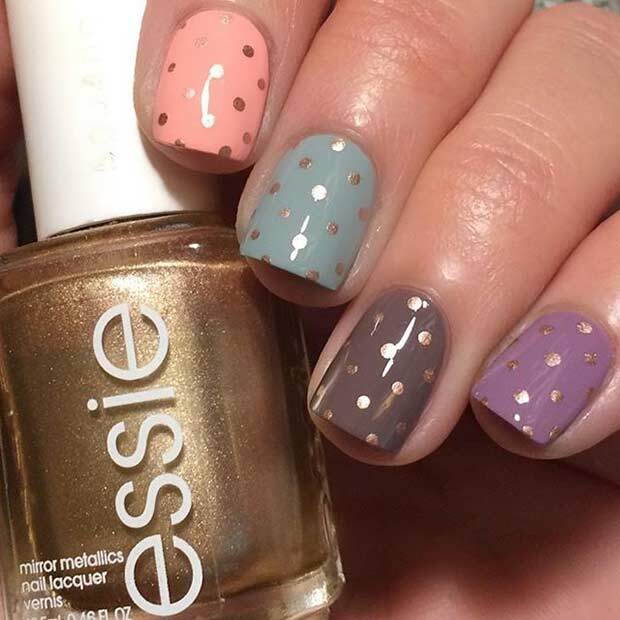 Because mint is a pastel colour, the white base for the polka dot nails complements the natural green shade. 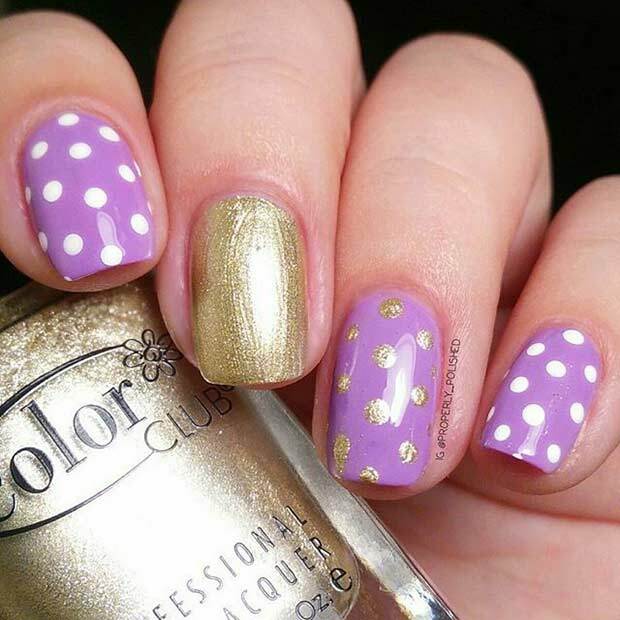 By having the outer two fingernails in a polka dot design, the mint adds a lift of colour. 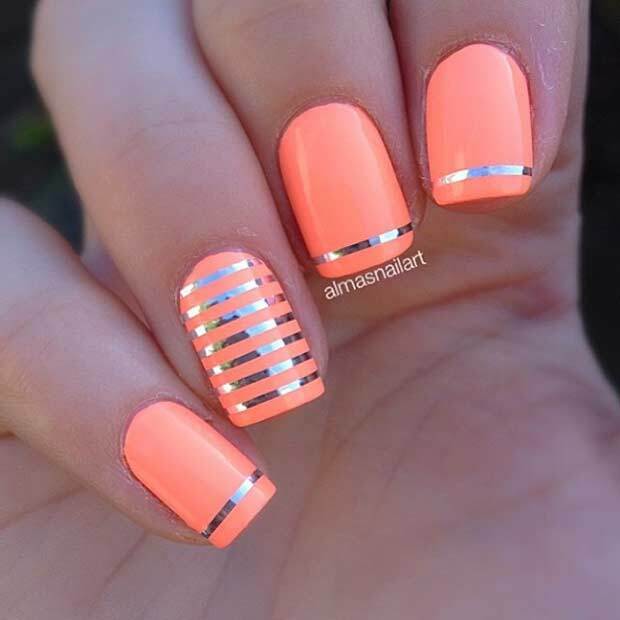 You won’t be blue or down when you check these nails out. This is ideal for someone who is about to go on a sun, sea and sand holiday. 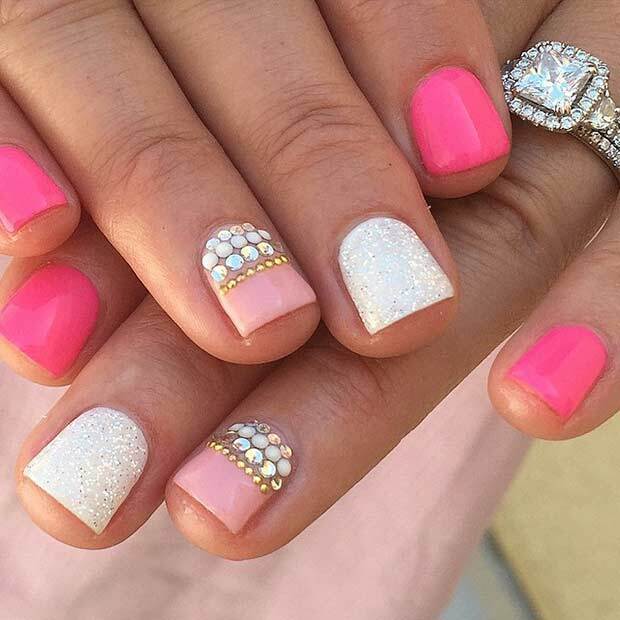 When the sunny sky catches the tips of your nails, they will come alive and shine so bright. 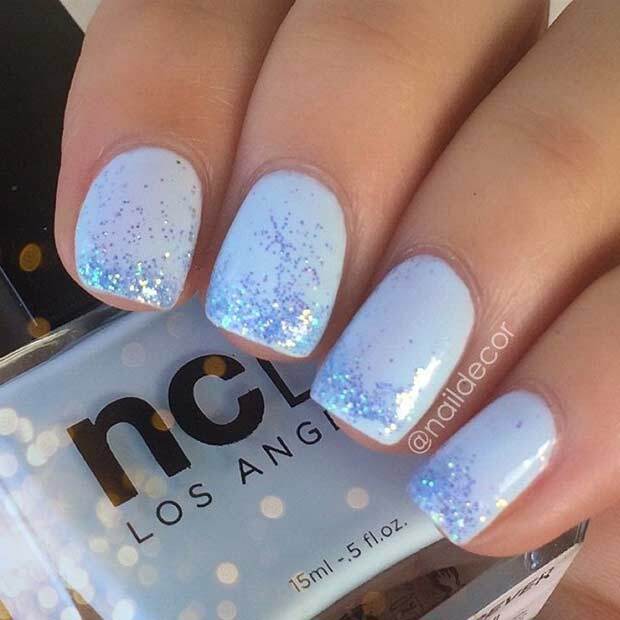 Apply a baby blue pastel base and add a blue sparkly glitter to your nail tips only.